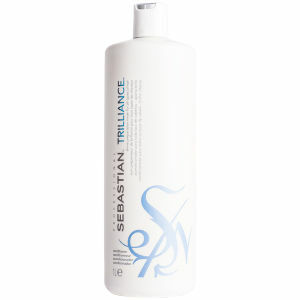 Suitable for all hair types, Sebastian Professional Trilliance Shampoo (1000ml) polishes and cleans your hair, imparting it with a beautiful, healthy-looking shine. Forming a rich lather, it gently removes impurities, whilst the rock crystal extract smoothes the cuticle layer to make your hair more manageable. - L.M.